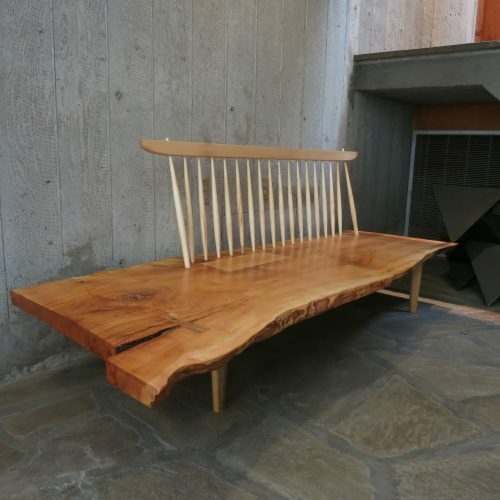 We made this low bench for a family’s house on the Connecticut shoreline. 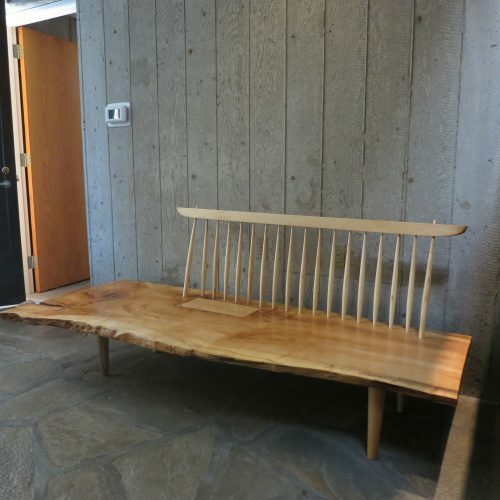 They lost a maple a few years ago and this is the latest in a series of pieces we have done for them. 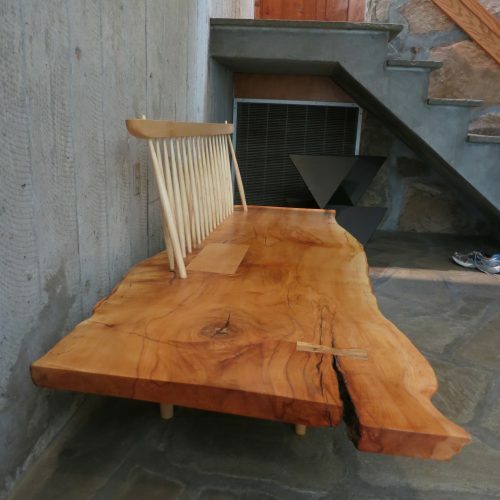 This piece is inspired by a Nakashima bench the owner had seen at the Asia Society in Manhattan.